Our announcer booths were a hit this this year, and they are perfect. Buildings were designed and engineered by Jon Fulcher with Sodo efg Architecture, Inc. in which he donated his time and engineering to GPMBA. 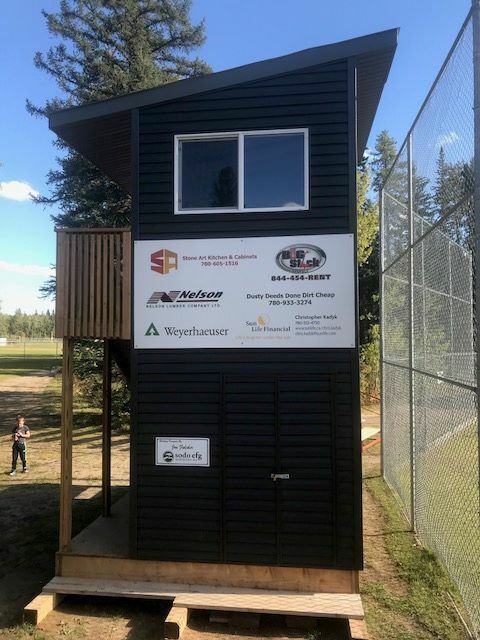 A huge thankyou to Matthew Martino's with Grande Prairie Yard Works and his crew for building these for our association. He donated so much of his own time and material to see this project through. 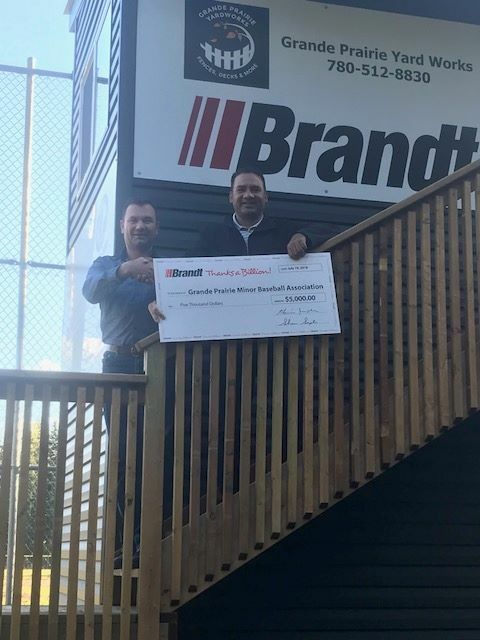 Also a huge thankyou to Brandt Tractor for a donation of $5000 which helped purchase material (cheque presentation pictured above, Kevin Lavallee from Brandt Tractor and our president Jason Van Buskirk). 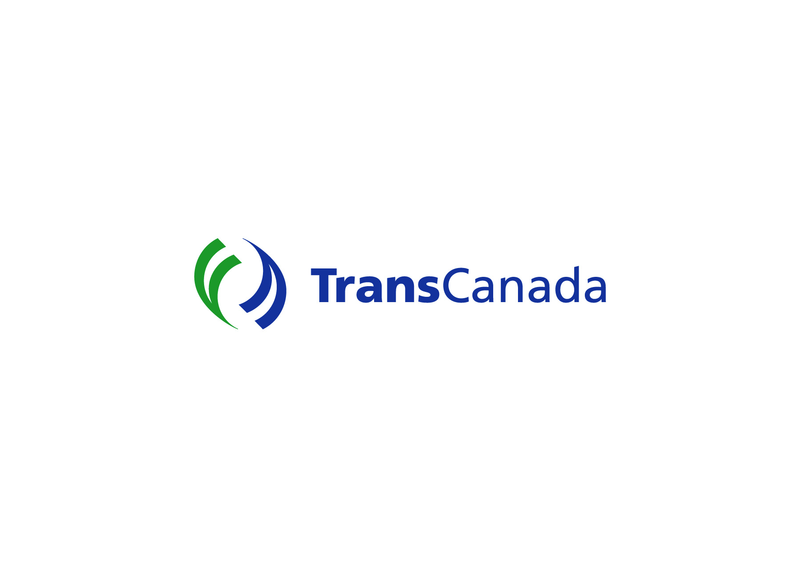 Thanks to Weyerhaeuser for their donation of the lifts of lumber. Nelson Lumber for their donation of lumber and materials, Chris Kadyk with Sunlife Financial for a cash donation of $500, Stone Art Kitchen and Cabinets for all their work, Dusty Deeds Done Dirt Cheap for all their time and donation of material, Big Stick Rentals for donating time and equipment. This project has been in the making for a while now and they turned out more perfect than we imagined. Thanks to everyone for all their time and donations! !